In 2015, I’m continuing my tradition of hoppy saisons. This year we are going to touch on a bunch of hops that I haven’t utilized yet (as well as a bunch of experimental hops). To name a few upcoming hops: Equinox, NZ Sticklebract, Calypso, Waimea, and several others. Going to be fun. This is the first of 2015’s single hop saisons, Falconer’s Flight…well not “single hop” I guess. Falconer’s Flight is an interesting hop blend released in 2011 in honor of Glen Hay Falconer of Rogue and later Wild Duck Brewery in Oregon. It isn’t a single hop variety but rather a proprietary blend of hops including Citra, Simcoe, and Sorachi Ace along with experimental hops and numerous other NW varieties. Hmmm..should this be in my “experimental hop” series? No, no it shouldn’t. The creation of this blend is designed to help support the Glen Hay Falconer Foundation that provides scholarships for people to learn to brew (http://www.glenfalconerfoundation.org/). I’ve had beers made with the blend before and they tastes a little like cotton candy with nice citrus and sweetness in the palate but this will be my first time using Falconer’s Flight in a beer of my own. This is not the “7 C’s” Falconer’s flight where the blend (but not ratios) are known. The “7 C’s” blend is Cascade, Centennial, Chinook, Citra, Cluster, Columbus and Crystal. That does sound like a great blend of hops honestly. Maybe I’ll make a beer with that if this one turns out well. This is the classic Falconer’s Flight, 2014 blend (I don’t know if the blend changes but I assume it does). Grain was mashed at 150 F for 60 minutes in about 4.5 gallons of water, sparged with about 4.5 gallons of water, about 8.5 gallons collected total. No pH stabilizer (didn’t realize I was out). Both the mash and the sparge were vorlaufed. Beer brought to a boil quickly, boiled for 60 minutes. No clarifiers. 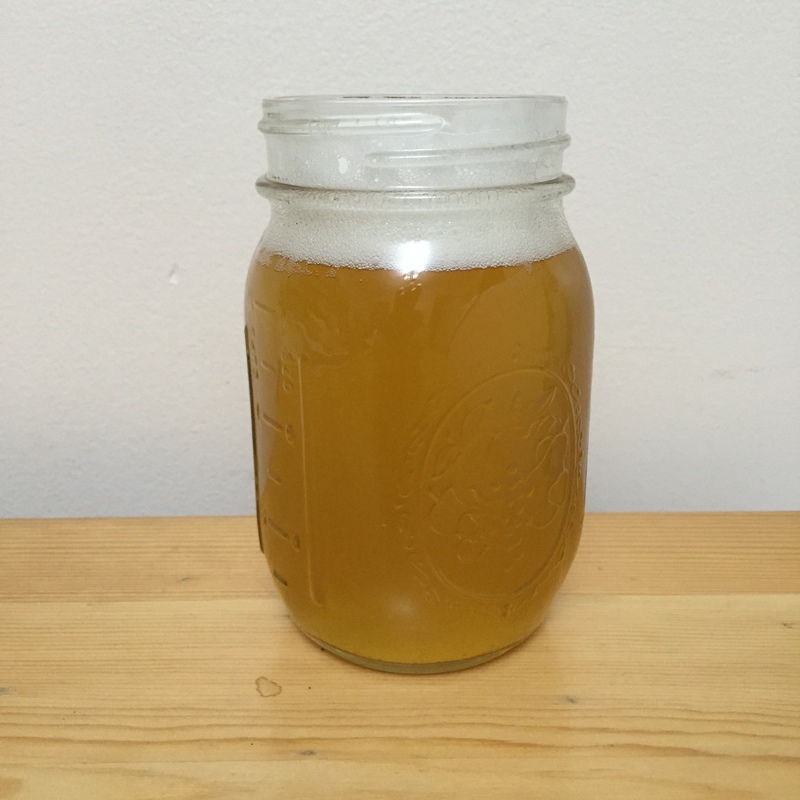 Beer was fermented with a portion of the yeast cake from the Galaxy saison #3. This is a Blaugies strain of yeast. This is an incredibly hazy wort / beer in the fermenter. It eventually cleared up though, no additional clarifier added. This beer got dry hopped for longer than I wanted but I have a lot going on these days. I will tighten up the dry hopping in the future. I also decided to finally ditch the yeast cake from this beer and to start over with my upcoming saisons. Beer is yellow and mostly clear, only a slight haze in the glass. Medium head, decent retention, low to moderate levels of carbonation (I have a leak somewhere in my system and it needs mending, then I will have consistent carbonation). Looks like one of my saisons. The aroma is about a 6/10 on the intensity scale (maybe I dry hopped too long?) but smells really nice. The yeast is sneaking through, the hop presence is really nice, really fruity, some grass, mild earthiness. The hop aroma diffuses quickly (maybe I’m using a suboptimal glass). Really nice aroma, all I wish is that it was a little more intense. Beer is really nice, great mouthfeel too. Beer is nice, medium to light in body, decently carbonated on the palate. The hop component of this beer is a little subdued but definitely present. Nice fruitiness, nice connectivity, the yeast sneaks through in the whole thing and the finish is clean without an aftertaste. The beer is a little sweet, citra is coming through in the hops a lot, some simcoe as well. The finish of the beer isn’t dry at all but rather it is medium bodied and really clean. No lingering bitterness from the hops, no graininess. Overall, this is great beer that really highlights the hops. The hops were not as “candy” flavored in this beer as they were in other beers I know use these hops. I have started treating my hoppier beers better with oxygen exposure and light exposure, hopefully that is making a difference. This is the first of >12 hoppy saisons for the year, looking forward to them all. The next one in the commercially available hop series will be Palisades. I’ve never brewed with them (like all of these) so that is exciting, also Apollo is coming up as well. Other than updating the yeast and sticking to a reasonable dry hop schedule, I don’t want to mess with this too much. I might pull back on the flaked wheat to more around 5% rather than 10% but I like the dimension it gives to the saison. Maybe double dry hopping or adding the hops to the keg will increase the hop presence in the aroma. That is really all that is missing here. I have the first of experimental hop saisons for 2015 in the fermenter right now, Nuggetzilla! I’m doing two pellet hops and 5 leaf hop saisons this year from the experimental varieties I could find. Those will be good. First lager is coming up, Bavarian Helles, some barrel aged beers on the horizons, just lots of fun stuff. I also have two Wakatu saisons in the fermenter finishing up. I’m working on a follow up to my “Physiology of Flavors in Beer – Saccharomyces” post but this time about Lactobacillus. That should be up in March time allowing. Look for that.